Should you extract your failing tooth? Dr. Jeffrey Nichols and Dr. Ryan Collins at Premiere Walk-in Dental preserve natural teeth whenever possible. They perform comfortable root canal therapy in Rockledge. 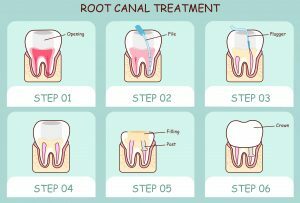 Rather than causing pain, root canals relieve pain and return injured or infected teeth to full health and function. 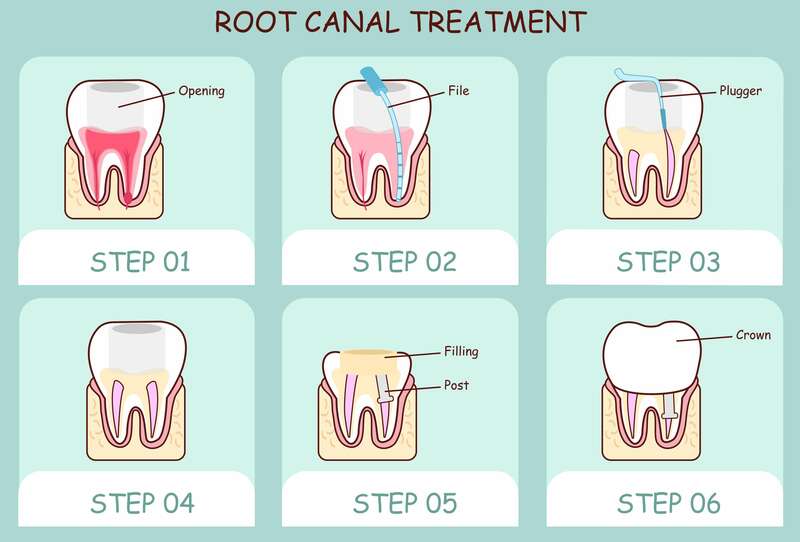 Also called endodontic therapy, a root canal procedure removes infected and deteriorating soft tissue inside a tooth. Each tooth has up to four interior chambers, or root canals. They contain the nerves, blood vessels and connective tissue that help a tooth develop and function. After our adolescent years, however, this soft pulp is not needed. If a tooth becomes infected due to deep tooth decay, fracture or periodontal disease, your dentist may opt to remove the pulp and seal and the tooth with a porcelain crown. If you are experiencing any of these signs and symptoms, contact Premiere Walk-in Dental right away. The dentist will examine your teeth and gums, take some digital x-rays and discuss with you the proper course of treatment. The American Association of Endodontists, specialists in root canal therapy, says that millions of teeth are saved annually by this in-office restorative treatment. If Dr. Collins or Dr. Nichols determines root canal therapy could be beneficial, he ensures the patient is completely comfortable and pain-free during this one-hour procedure. Usually, people just need a local anesthetic, or pain shot, to numb the area being treated. The dentist drills a small hole into the first root canal. He inserts several small files of increasing size into the chamber, debriding the infected material and smoothing the canal walls. He instills antibiotics and seals the canal with a natural, elastic material called gutta percha. As needed, the dentist repeats the procedure on the other canals. Then, he covers the tooth with a temporary filling or dental crown. After the procedure, the patient eats a soft diet at home for a day or two and takes over the counter ibuprofen or acetaminophen as needed. He or she returns to the dentist’s office in a week to receive a permanent porcelain crown. A tooth restored with root canal therapy may serve the individual for decades. A lot depends on the strength of the remaining natural tooth structure and on the oral hygiene habits of the patient. Of course, twice daily brushing and once a day flossing to remove plaque and limit tartar fosters longevity. Also, the dentists like to see all their patients twice a year for hygienic cleanings and comprehensive oral exams. If you are exhibiting any symptoms of dental abscess or have sustained an oral injury and think a tooth may be cracked, contact Premiere Walk-in Dental immediately. Dr. Collins or Dr. Nichols and the dedicated team will ensure your comfort and find the best course of treatment.